It’s been a week of friends stopping by bearing the fruits of their (and their chickens) labors: a dozen just-laid eggs; a sack full of enormous chanterelles, and dead-ripe heirloom tomatoes. Wish they could have stayed for lunch, but their visits are just long enough to say hello, then they’re off on their way. 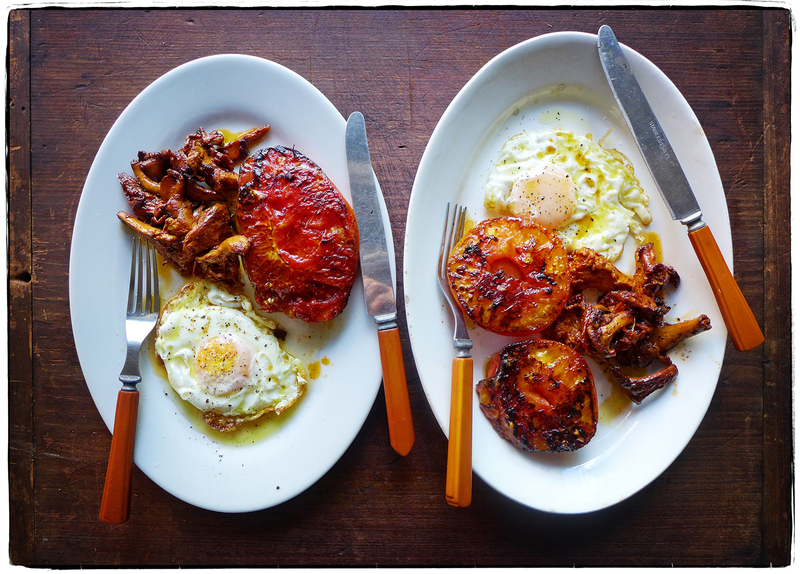 So it’s just us two having a delicious blue plate special today: olive oil-fried eggs, pan-fried tomatoes, and sautéed chanterelles.